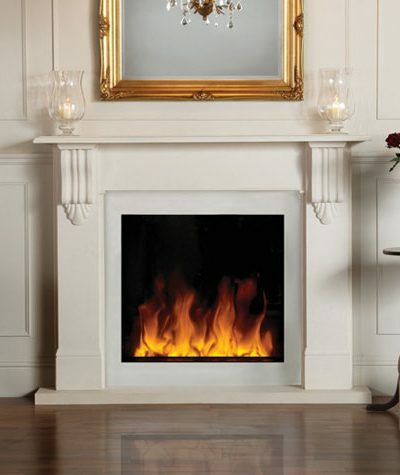 Available in a variety of styles and sizes, Gazco’s collection of wall mounted electric fires will be at home in a wide array of interiors and without the need of a chimney! Incorporating the highly realistic LED flame effect, the contemporary Studio Electric wall mounted fires benefit from remote operation and feature an additional thermostatic control. Both Riva 67 and Riva2 670 electric fires integrate a highly realistic fuel bed effect enhanced by Gazco’s stunning flame-effect. 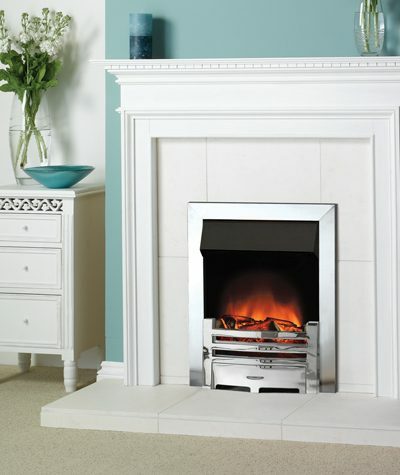 Gazco’s Logic Electric Box Profil Fires combine understated elegance with state-of-the-art modern technology. 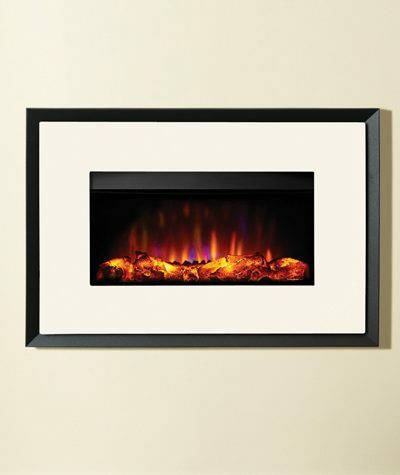 Designed to fit into a standard fireplace opening or a 3” rebated mantel with slip, it offers easy installation, ease of use and a fantastic electric log effect flame visual. 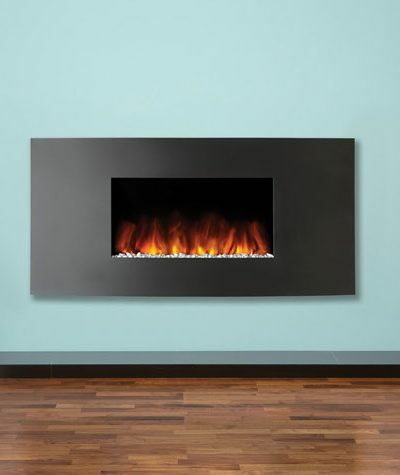 Additionally, by using the optional spacer frame, your Logic Electric fire can even be fitted directly onto a flat wall. The Logic Electric Box Profil fires take there design origins from the Arts movement in the early twentieth century and the evocative style has influenced this contemporary fire with a choice of eleven frame and fret combinations. The Studio Electric Verve comes in a Graphite finish. For those that want to add a splash of colour in their living space, Gazco has introduced a range of new and vibrant colour options specifically designed to complement the stylish, contemporary form of the wall mounted Studio Electric Verve. The three eye-catching colours to choose from are: Metallic Red, Metallic Bronze and Ivory. The Gazco Evoke Steel is a stunning, two-part design that blends expertly into both traditional and more modern interiors. The front face of this frame comes in a stylish Graphite finish with the option for customisation in one of three exciting additional colour choices. The attractive bevelled rear is left in Graphite to perfectly complement the standard finish on the front or form a contrasting border to any of the bold colour choices. With variable flame effect and heating settings, and the option to enjoy the flames without any heat at all, the Riva2 Evoke Steel electric fire will be as impacting in its functionality as it is in its designer aesthetics.